When you have oily skin, finding the right moisturiser can be a bit of a debacle. Too much and you're looking at a greaseball in the mirror, too little and you end up dehydrated, overproducing oil to compensate and also looking like a greaseball. Trial and error has taught me that balance is key and over time I've found a few skincare bits that master just that. 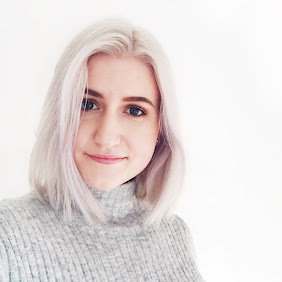 As is the theme in this little series, I thought I'd have a little chat about two moisturisers that have been perched by my sink the last few weeks that hydrate my skin, whilst keeping the oiliness in check. 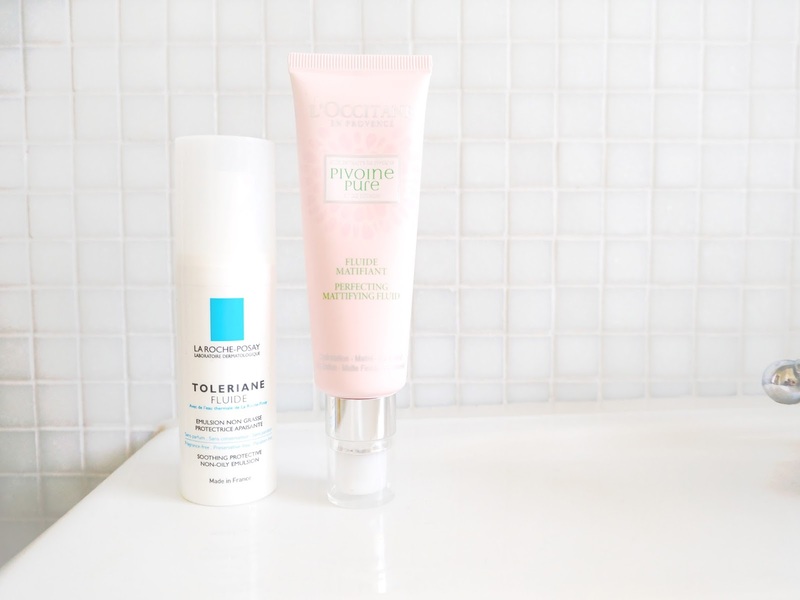 La Roche Posay Toleriane Fluid - I spoke about this a lot on the blog last year but during the colder months, I strayed from it for a while. Last winter my skin went through a seriously dry phase, so I had to practically slather my skin in thick moisturisers to keep it hydrated, hence this being left by the wayside. Once summer rolled around, however, my skin went back to it's typically oily state and this moisturiser has been a bit of a hero. I can use it day and night, but lately I've been reaching for this in the evenings. There are so few ingredients in it (eight, to be precise), which makes it great for sensitive skin too (which I also have). One and a half pumps is more than enough to cover your face, whilst still packing some serious hydration. Fab product and very affordable too! L'Occitane Pivoine Pure Perfecting Mattifying Fluid - I managed to get my hands on this early, so it's not out quite yet, but should be available online from September (so pretty soon anyway!). I wasn't sure about this to begin with. It sounded like it would really dry out my sensitive skin and perhaps make my makeup look cakey. Well there's none of that with this! Before trying this, I had such an issue keeping my face more or less matte without my makeup practically melting off my face. Now I use two pumps of this in the morning after my toner and apply my makeup over it. It does such a great job at keeping my things matte and not looking or feeling tacky and greasy, even in the summer heat. Highly recommend! So there we have it, two to give a go if you're an oily-skinned gal like me. As with any skincare product, what works is very individual, so I'd recommend getting samples of any new skincare item before purchasing. Then you can have a little try and see what works for you! What's your skin type? Do you have any favourite moisturisers? Let me know! I hate it when products make skin feel sticky and oily, especially during the summer. Thank you for sharing these products! I hate having oily skin and sometimes I even skip out on moisturiser when I feel like it would only do me worse. I will definitely have alook into these because I really want to find thatholy grail! As oily-skin gal too, I find this post really helpful. I'm really interested in trying La Roche Posay ones. I have oily skin and finding good products is definetely hard! I try to use us much organic products as I can and my favourites have been from Madara (SOS Serum), Kivvi (Moisturizing Gel) and now Nafha (Day cream). If I ever switch back to "normal" cosmetics I'll definetely keep these in mind, thanks! Btw, I love your blog - it's so simple and clean and you write well. I'd love some feedback on my blog.